All CDs listed on this page can be safely secured via PayPal. You don't need to be a member of PayPal to order and Postage and Packing is included in all prices. Since the Bully Wee Band reformed in 2004 they have, not surprisingly, added to their extensive 45 year repertoire, and this album is the result. It is the first time they have been in the studio as one unit in 35 years and the finished tracks demonstrate how they and their sound have matured over the years. 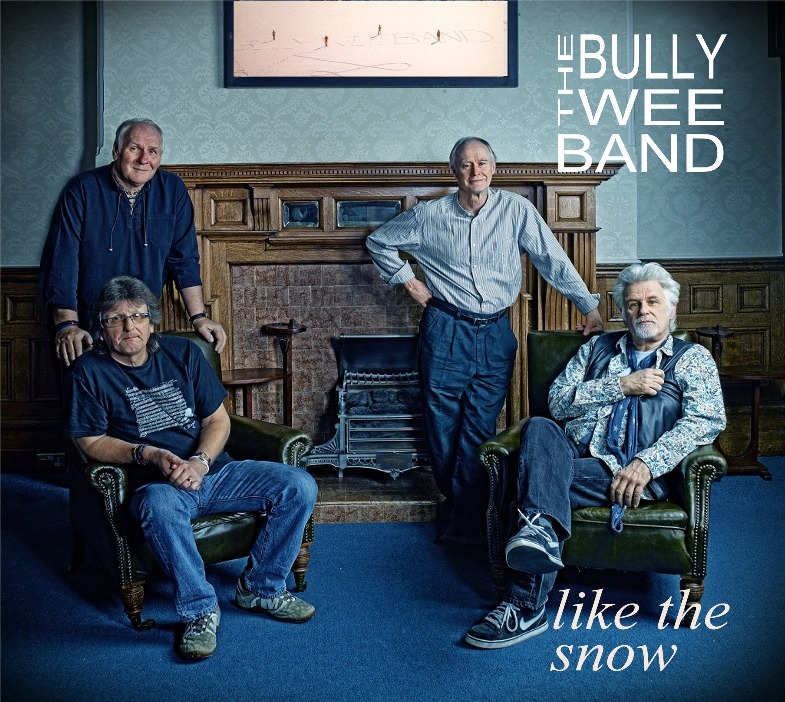 A compilation of some of the best Bully Wee Band tracks from the four albums recorded between 1975 and 1980.
but here is an opportunity to hear, on one CD, some of the best of The Bully Wee Band from those vintage years. Recorded during their January 2006 tour, this was the first Bully Wee Band release for over twenty five years. their extensive 36 year repertoire. All given the band's unique and up-to-date live treatment. John Cunningham backing vocals on There's A Place In The World For A Gambler. 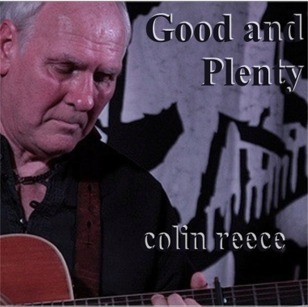 The latest album from Colin is another selection of songs carefully selected from his past and more recent repertoire. They include covers of songs as far ranging as those from Sydney Carter, Arthur Alexander, Paul Rodgers and Tim Hardin. Also included is a new song from Colin's dear friend John Cunningham and the traditional Irish ballad Carrickfergus. The album title track Way Below The Tide is a re-recording of Colin's self-penned song concerning the Scottish Great Silkie legend that, at certain times, seals may come ashore, remove their coats and take human form. Originally recorded by the Bully Wee Band on the Madmen of Gotham album, Colin felt it was time to reintroduce the song to the world and thus its inclusion on the album. The album features some guest musicians in the shapes of Peter Knaggs and Steve Shorey on guitars, Marc Woodward on mandolin, John Cunningham on backing vocals and Colin's life partner Deborah Neal on accordion. describe as 'a mixed bag consisting of past, present and personal favourites'. It seems that most performers reach a stage in their life when they get the urge to revisit and acknowledge their roots. there was more to music than the Beatles. Colin Reece vocals, acoustic and electric guitars, piano and keyboards, mandolin and octave mandolin, banjo, bass & drums; Ian Cutler Bridge Aquila electric violin; Fergus Feely octave mandolin; Steve Shorey acoustic and electric lead guitars; John 'Smudger' Smith' electric lead guitar; David 'Rudgey' Rudge harmonica; Karen Hunter, Lindsey Collard and Drew Millin backing vocals. First release of original material from Colin for ten years. Nine previously unreleased tracks and seven re-arranged and re-recorded songs from the earlier days. All brand new 2011 recordings. best friends and musicians Colin has had the privilege to work with over the years. Bad Manners Carlton Hunt. Add to this Shave the Monkey's Guido Rincon and Ian's sister Valerie Cutler and you have quite a recipe for excitement. Slaughterhouse The Live Concert is also available to download complete or track by track from itunes, Amazon and most reputable download sites. Colin Reece vocals, acoustic guitars, piano and keyboards, mandolin, banjo, bass & drums; Ian Cutler Bridge Aquila electric violin; Ivan Jewel piano and keyboards; Tee Marcheur slide guitar; Karen Hunter, Deborah Joy and Drew Millin backing vocals. This was Colin's first album of totally original material for nearly sixteen years and to a large extent saw a return to his love of storytelling within song. All the songs on the album are self penned with the exception of 'Hold Me In Your Arms' which was written by two friends Karen Taylor and Tony Walker. Bad Manners Drummer Carlton Hunt and from Feast of Fiddles Hugh Crabtree and Martin Vincent. Slaughterhouse is also available to download complete or track by track from itunes, Amazon and most reputable download sites. are available to download complete or track by track from itunes, Amazon and most reputable download sites. Jim Yardley - vocals, guitar & mandolin; John Yardley - vocals & guitar; Ian Cutler - violin, keyboards & vocals; Frank Simon - vocals, guitar & whistles.